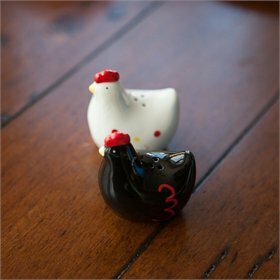 Q: Why is it necessary that my chickens have grit? "Scarce as hens' teeth." Have you ever heard that expression before? Of course, chickens don't have teeth... and that's a problem, since their diet consists of grains, seeds, grasses, insects and other things that need to be chewed. Nature solved this problem by giving chickens a gizzard where their food is ground up. But they sort of digest it backwards, at least from our perpective. We chew food and then it goes to the stomach. They get it to their stomachs and then chew it. Weird, right? Here's how it works: When chickens swallow food, it first goes into their crop. The crop is simply a sort of storage area for what they've ingested... like a lunch box. Or chipmunk cheeks. Having a crop means that, as prey animals, they won't have to go out into the open as often to hunt for food. They can eat a lot at once, and digest at leisure, perhaps in cover. 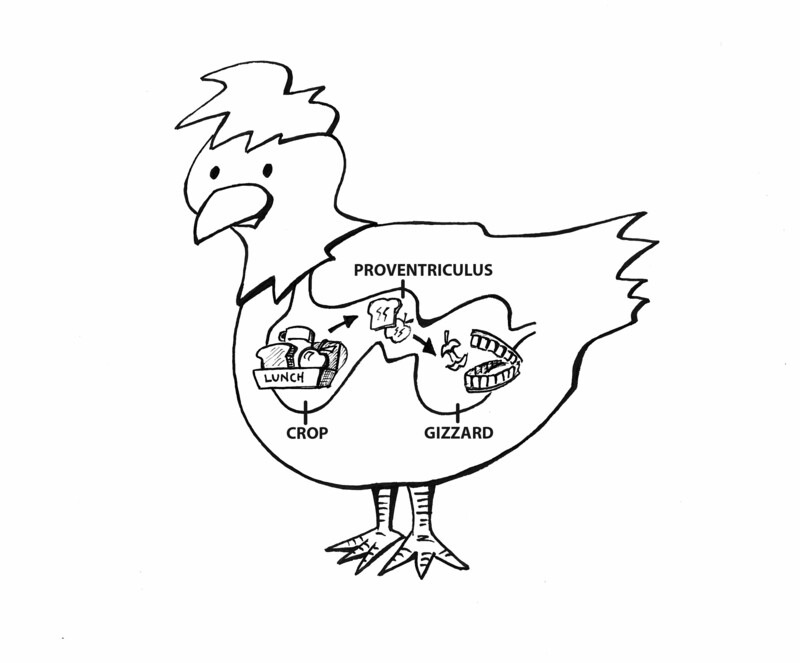 From the crop, the mostly intact food progresses to the proventriculus (the stomach), and then to the ventriculus or gizzard. 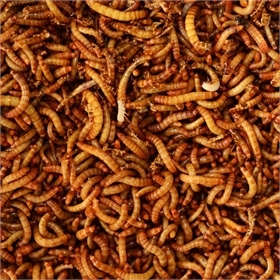 In the stomach, it is exposed to digestive juices and enzymes which soften it up enough to have it "chewed" up in the muscular gizzard, which grinds it up between the stones or grit. You can think of grit like molars. Or like a mortar and pestle. It then moves on to their intestinal tract. So to recap, they swallow food, store it in their, er, lunchbox, pour over digestive juices, and then grind it up with their tiny dentures before it moves on. So, where does this grit come from? As they forage, chickens naturally consume small pieces of rock, grit and/or gravel, and those pieces pass through their digestive system and lodge in their gizzard, where they chew up the seeds, grains, bugs, and grasses that they eat. The grit grinds their food the way molars grind our food. So, when chickens don't have access to these little bits of rock and grit, they just can't properly digest their food... that means they can't extract all the nutrients they need from what they're eating. But it's not just that. If the food particles are too big, they can sit in the digestive tract without progressing, and can begin to ferment or rot. This is a condition called "sour crop," (even though the "sourness" can occur in various parts of the digestive tract) and the condition is quite serious. A veterinarian may need to flush your chicken's digestive tract and clear it of that rotting food. 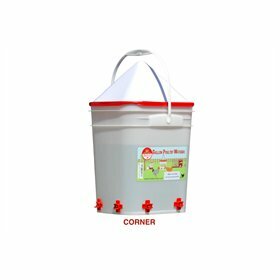 It's a procedure that can be dangerous, since in addition to being weak and sick from the illness, your chicken may aspirate (breathe in) some of the rotten matter in her crop as you're attempting to give her veterinary attention. Even more, though, sometimes a lack of grit can even cause an obstruction the digestive tract. This is usually called a bound crop, although again the binding can occur in various parts of the upper digestive tract. 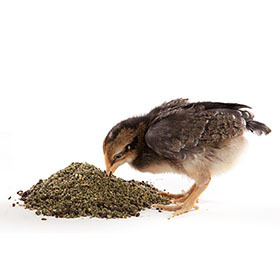 Long strands of fibrous grass or plant matter can tie itself in knots and simply shut your chicken's digestion down. And again, this is a condition that will need veterinary attention--occasionally even surgery. Just don't make the common mistake of confusing grit with oyster shell, or of thinking the two are interchangeable. They're not. 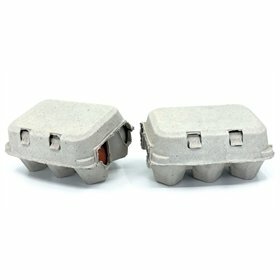 Oyster shell provides your hens with calcium, which they need for strong egg shells. Oyster shell is not hard enough to grind food in their gizzards; it doesn't act as grit. It's digested like you'd digest a Tums. So if you're giving your hens oyster shell, that doesn't mean they don't need grit--and if you're giving then grit, it doesn't mean they don't need oyster shell. 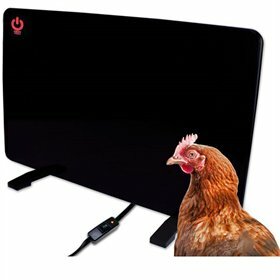 Now, a chicken with access to range will naturally pick up little stones and bits on her own. It's a natural instinct. But in most backyard situations, your chickens are going to be confined to a smaller area than they would naturally range on their own. It's also often a very manicured area... and people usually like to keep their yards clean of gravel pits--don't ask me why! 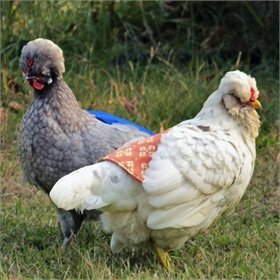 In a backyard, too, chickens often have access to lawn clippings, which consist of long strands that are more likely to get bound up and cause digestive issues (on their own they nip off just small bits of grasses, rather than long strands). 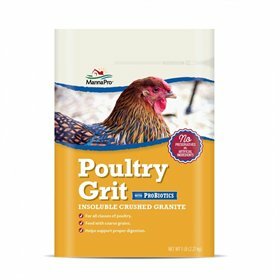 So providing some grit to your pet chickens is just a smart thing to do to keep them healthy. You want to make sure they have access to plenty of it, rather than having to struggle to find enough.Plus, it's so easy to provide your chicken flock with grit! 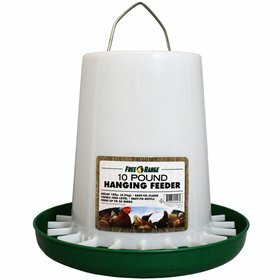 Just buy a bag of granite grit and have a little dish in your coop where you put it for them. Or scatter it over their food every so often. Or toss it in the run where they forage. It's rock... so it doesn't go bad! 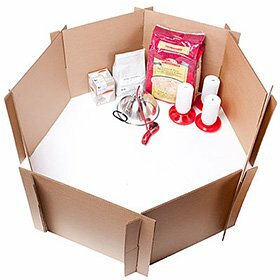 You don't even have to worry about storing it in a pest-proof place. Why do the fresh eggs from one of our hens always have a strange, unpleasant fishy smell?